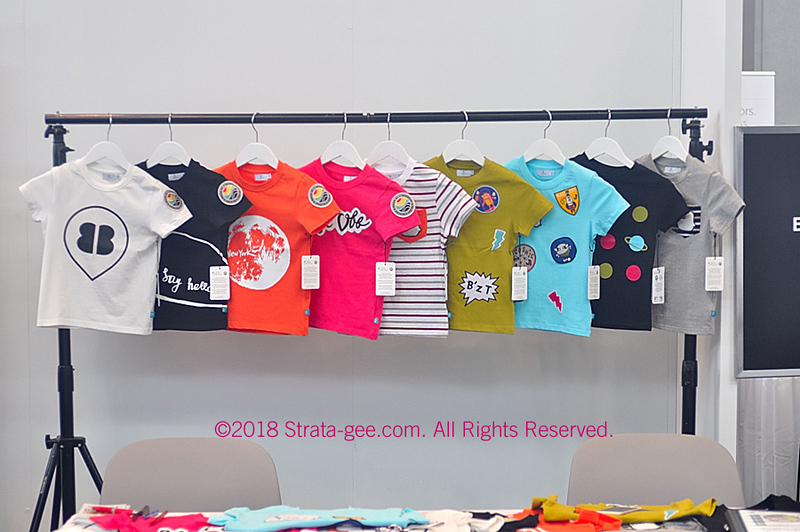 In another example of a practical application of Internet of Things (IoT) technology, at CE Week last week the company B’z T showed a line of children’s clothing with hidden sensors that make your kids truly trackable – in fact they call them “Trackable Ts.” Offering a wide range of styles, colors, and designs, the company has already seen its products picked up by Amazon and other dealers, creating a bit of a buzz. The name B’z T (pronounced beez T) stands for bee’s technology, with the bees meant to be a cute association with young children. The company showed a wide selection of some of their clothing meant to be attractive to children with bright colors and various patches and images of fun characters. But these are not your typical kid-wear – hidden in them is a sensor that pings home base every three to five minutes. The clothes are completely washable, so kids can continue to do their typical kid things, like slide in mud or splash in puddles with no harm to the tracking system. Lost Track of Junior? B’z T to the Rescue! If you suddenly lose track of junior, just whip out your smartphone, launch the B’z T app, and track that lost bumble bee wherever he has wandered off to. It is a simple and elegant solution to a problem that many parents have faced, including the Green family. According to the company, as many as 800,000 children are reported missing in a year. Fortunately for us in our case, quick acting store personnel gave our story a happy ending. 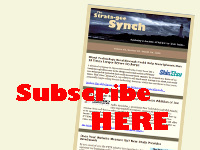 A quick read of the newspapers in any major market will show that it is not always a storybook ending when a child wanders off. I was able to get Kiyeon Nam of B’z T to show me where the sensors are hidden in the children’s clothing. I could share that with you but then I’d have to kill you (shhh, you didn’t hear this from me, but typically it’s in one of the patches on the item – don’t tell anyone)! The company even makes separate patches available if you’d rather sew the patch on a child’s existing clothing item. The app is simple to use and understand. The app will send you a persistent notification if your child wanders outside of your immediate zone. Ms. Nam told us, inside a building that zone is 45 feet and outdoors the zone is set for 95 feet (so it’s not constantly going off on – say – a large playground). When you get the likely alarming notification, you whip out your phone, power up your app…and start walking. The App will immediately open up a Google map with a blinking indicator of where your child is. 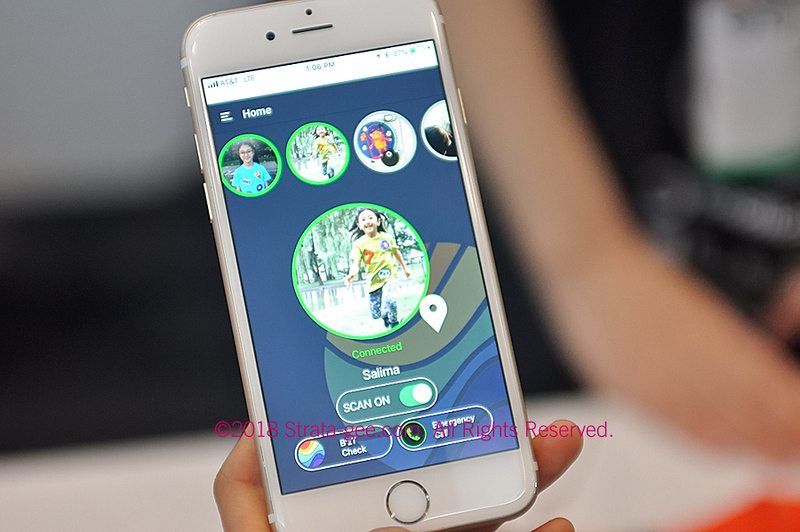 Now in truth, the app won’t take you right to the ground your child is standing on…but it will get you within a short distance in which your child will be visible. 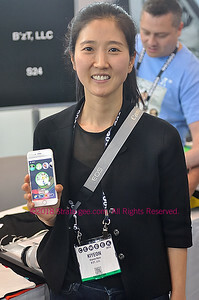 Even on a noisy convention floor packed with lots of electronic devices, Ms. Nam and a colleague gave me an instant demonstration of the notification system. When your child is within the zone, a circle around a central image is green. When the child leaves the zone it immediately turns to a orange-ish/red-ish circle and the notification is sounded…spurring you into action. Ms. Nam says the pricing on the clothing ranges between $37 to $52 – very affordable for just about any family. The sensor batteries last approximately 10-12 months. The app is free and is available through your favorite app store. Perhaps most importantly, there are no additional monthly user fees or other charges for this service. Again, the company was trying to make this as affordable as possible, so any family can take advantage of this system to protect their kids. B’z T is available on Amazon.com and through the company’s website at: www.smartbzt.com.